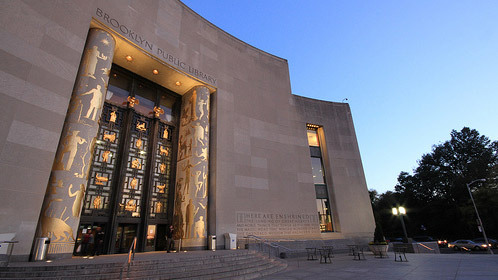 On Wed. April 20th at the Brooklyn Public Library, I’ll be joining Sam Gordon and Sophia La Fraga in a panel discussion on how visual artists have tackled Whitman’s work in book form. 6-8PM. Hope you Brooklyn heads can make it. 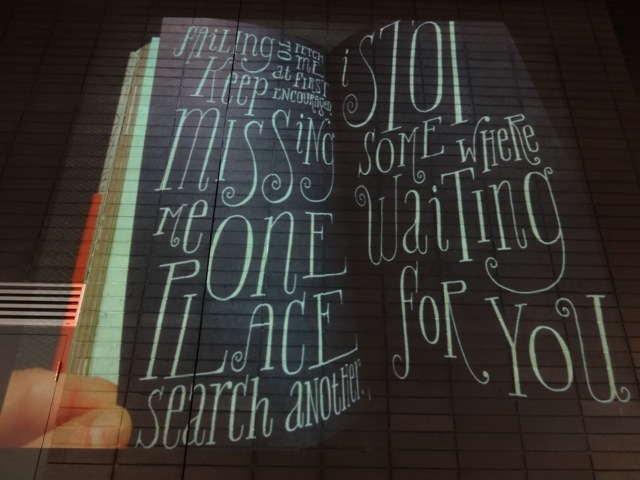 I’ll be happy to sign your copies of Whitman Illuminated after the talk. This entry was posted in Whitman Illuminated on April 12, 2016 by Allen Crawford. The good folks at the Society of Illustrators called today and informed me that Whitman Illuminated has won the Gold Medal in their Book category! 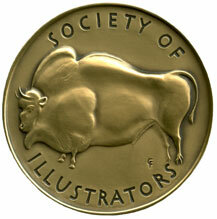 My heartfelt thanks to the Society of Illustrators. I can’t imagine a greater honor. The opening reception for the annual book and editorial exhibition will take place at the Society of Illustrators on Feb. 5, 2016. This entry was posted in Whitman Illuminated on November 10, 2015 by Allen Crawford. “Honored” doesn’t even begin to describe how I feel right now after hearing that Whitman Illuminated: Song of Myself has been selected as Best of Show in 3×3‘s International Professional Show (no. 12). I never imagined that I would receive such an honor; after 25 years of working as a graphic artist, this is one of the sweetest moments of my professional life. 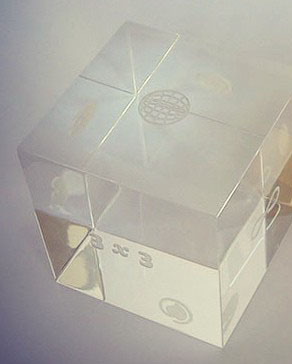 My sincerest thanks to 3×3, the judges, and my publisher, Tin House. I certainly hope this leads to more opportunities for me to bust my tail. 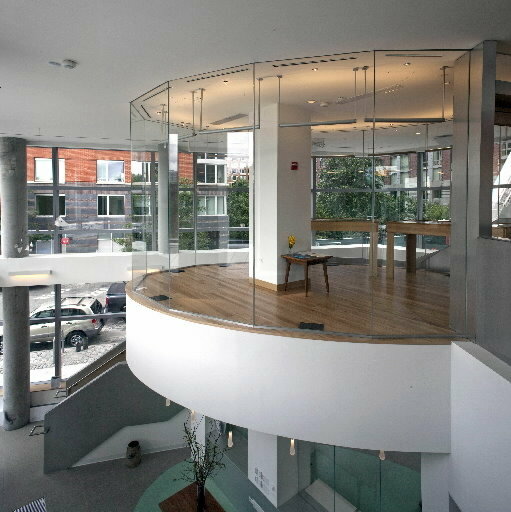 I am working on two books right now, and I am optimistic that I will find homes for them. I’m more hopeful about the future now than I have been in a very long time. This entry was posted in Whitman Illuminated on June 16, 2015 by Allen Crawford. Curated by Deidre Lawrence and drawn from the collection of the Brooklyn Museum, Walt Whitman & the Art of the Book presents a diverse selection of contemporary artist books, inspired by the work Walt Whitman. This entry was posted in Whitman Illuminated on June 10, 2015 by Allen Crawford. Proud to announce that Whitman Illuminated was selected for the Type Directors Club‘s 61st Exhibition and the 36th Type Director’s Club Annual! This entry was posted in Whitman Illuminated on January 28, 2015 by Allen Crawford. 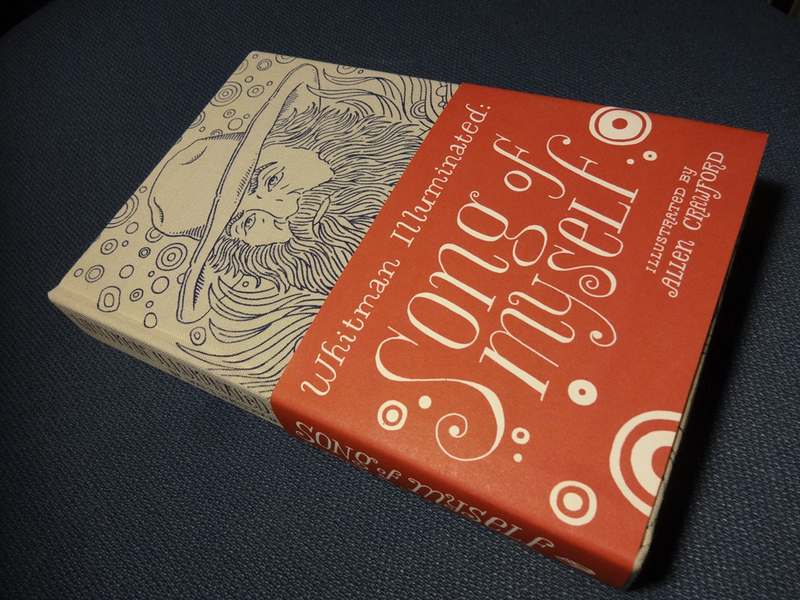 Happy to report that a second print run of “Whitman Illuminated: Song of Myself” is in the works! Grab your first editions while they last! This entry was posted in Whitman Illuminated on December 11, 2014 by Allen Crawford. Proud to have Whitman Illuminated included in Brain Picking’s list of best art/design/photography books of 2014! This entry was posted in Whitman Illuminated on December 9, 2014 by Allen Crawford. “Whitman Illuminated” UK Release Today! 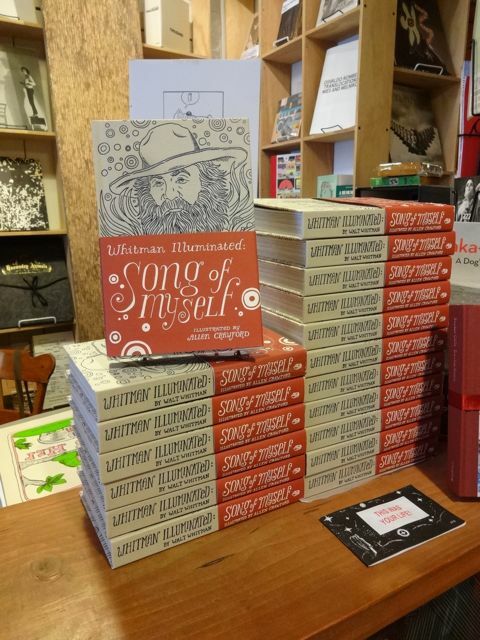 UK friends: Whitman Illuminated: Song of Myself is being officially released today by Jonathan Cape! This entry was posted in Whitman Illuminated on November 20, 2014 by Allen Crawford. The good folks at the University of Arizona’s Poetry Center kindly sent me a link to the video of my presentation in Tucson. This entry was posted in Whitman Illuminated on October 27, 2014 by Allen Crawford. Posters Now Available For Sale! 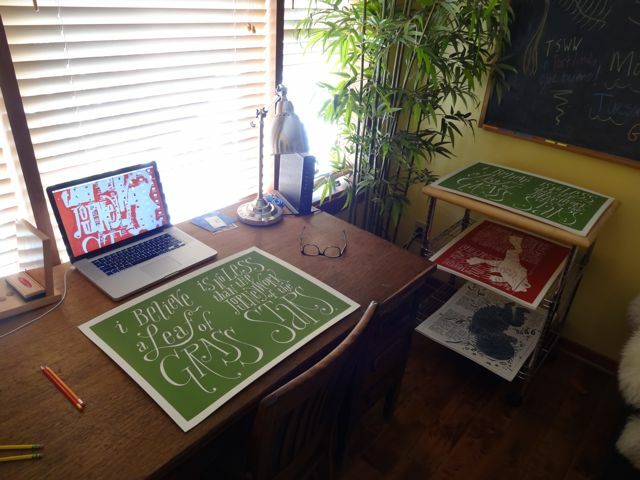 Tin House is now officially selling my three screen print posters! Suitable for framing or dartboards. All copies are signed and numbered. There are only 150 copies per poster, so grab them while you can. This entry was posted in Whitman Illuminated on October 18, 2014 by Allen Crawford.